InCopy articles. This is the default type of article used by Content Station. It contains formatting information and (when placed on a layout) layout design information (defining where and in what size it is placed on the layout). HTML articles. These contain formatting information but no layout design information. To create an InCopy article in Content Station, the Multi-Channel Text Editor needs to be set as the default text editor (which it is by default). It is assumed here that this is the case. See also How to check which is the default text editor in Content Station 9. On the Home screen, double-click New Article in the Applications pane. Figure: The Create New Article icon on the Home screen. I don't see a Create New Article icon in my Home screen, what is wrong? The icon can hidden from the Home screen by the system administrator. The reason for this is that this method makes it possible to create an article containing article components and styles for formatting the text that may not be suitable for the Publication Channel in which the article is eventually used. By hiding this icon, you are forced to use a method in which an article is created with the correct setup for the intended Publication Channel. Note for system administrators: See Hiding the New Article icon from the Content Station Home screen. Figure: The Article button (A) in the toolbar of a Dossier. It is shown when a Publication Channel of type 'Adobe DPS' (B) or 'print' (C) is selected or when Dossier Content (D) is selected. Press Cmd+N (Mac OS X) or Ctrl+N (Windows). A new article is created immediately and you can start working with it right away. (Content Station 9.2.1 or higher) The Select Template window appears from which you have to choose an article template to base the new article on. When a new article is created, it is based on an article template. 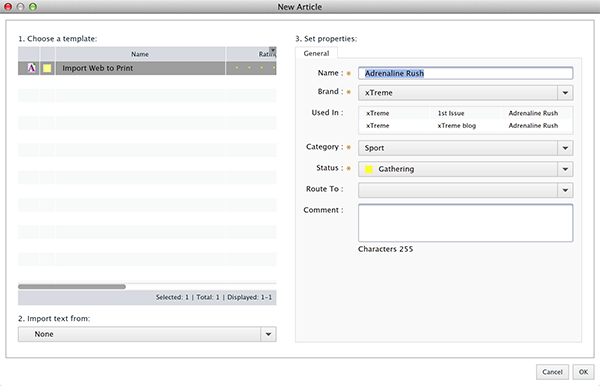 Together with a set of rules, this will determine which article components and styles the article will contain. When working in Content Station 9.0, 9.1 or 9.2.0, only one article template can be set up for use throughout the Brand. Each created article will therefore always contain the same number of article components and styles for formatting the text. When working in Content Station 9.2.1 or higher, multiple article templates can be set up on which to base the article. Each template can be set up with specific article components and styles and linked to specific Publication Channels. Each created article therefore can contain a different structure, depending on which template was used. For a technical explanation, see How Content Station 9 determines which article template to use. (Content Station 9.5.0 or higher) The New Article dialog box appears from which you have to choose an article template to base the new article on. It also allows you to optionally choose a Publication Channel to import content from (see Creating a new article in Content Station 9 by importing content from another Publication Channel). 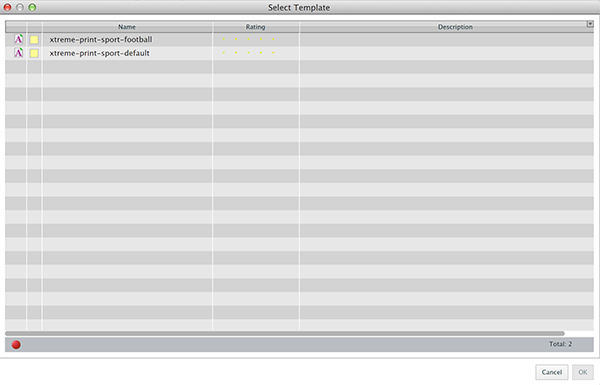 When the Select Template window appears: choose a template and click OK. When the New Article dialog box appears: choose a template, optionally choose a Publication Channel to import content from, set the properties and click OK. The new article is created based on the template you chose; you can now start working on it. To create a HTML article in Content Station, the HTML Text Editor needs to be set as the default text editor (which it is not by default). It is assumed here that this is the case. See also How to check which is the default text editor in Content Station 9. With Dossier Content selected in a Dossier, click the Article button in the toolbar. A new article is immediately created, you can start working on it straight away.